Each model in the Cisco ASA 5500 range comes with a range of licences and features, to add these features you can purchase them from a Cisco reseller. You will then need to apply the licence to the device. 1. Your first step is to purchase the Licence you require from an authorised cisco reseller. 2. When your licence arrives you need to locate the PAK that is on the certificate. 3. You need the Serial number of the ASA 5500, to get this either look on the chassis of the device or issue a “show version” command. System image file is "disk0:/asa803-k8.bin"
4. So the one above has a serial Number of JMX1234ABCD. 5. 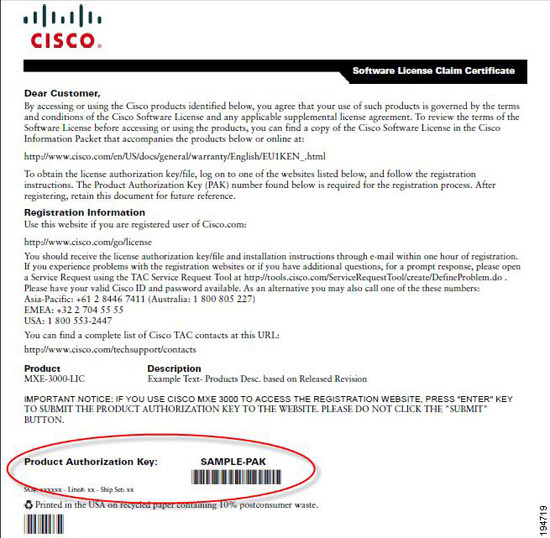 Now you have the PAK and the serial number, you need to register them with Cisco Go here, login with a Cisco CCO account name. Enter the PAK Code > Submit. 6. Check the PAK details, and add more as required > Click “All Done”. 7. Enter the Serial Number of the ASA and tick “I Agree..” > Enter/Check your details > Enter the Licensee details (If Different) > Continue. 8. Read the Summary > Submit > Wait for it to stop saying “Processing” > When complete it should “Go Green” and say Registration Complete. 10. 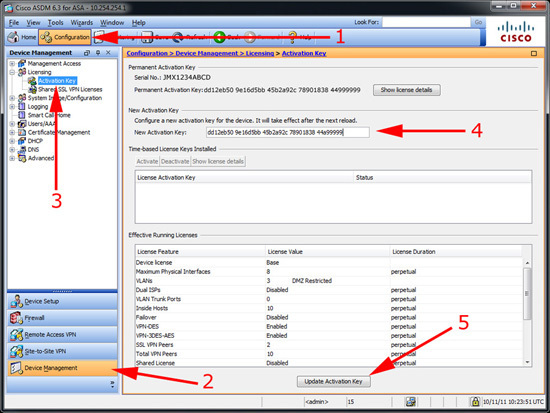 When the Licence comes in, the detail that you need is the activation key, it will look like…. 12. That’s the licence added. Note: In the example above I added a licence to increase the web VPN peers from 25 to 50 (Which you can see if you compare the two pieces of code). 2. 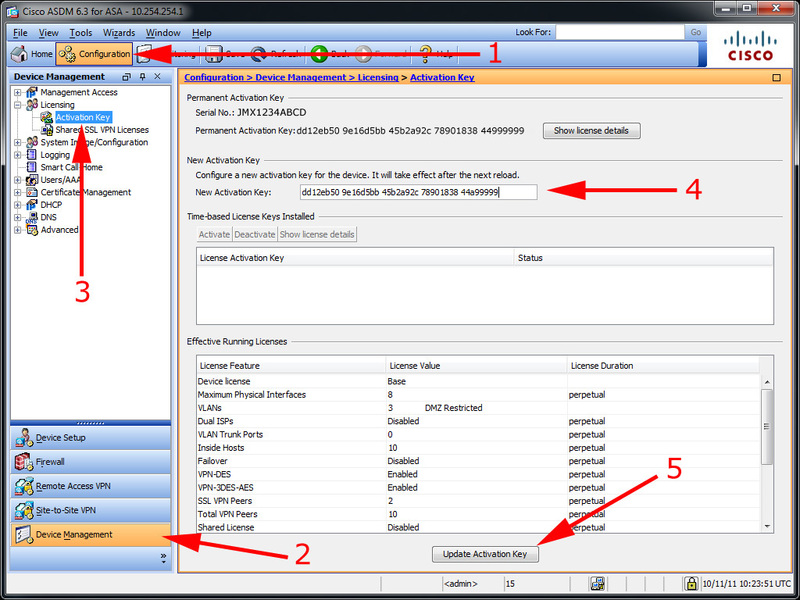 Navigate to > Configuration > Device Management > Licensing > Activation Key > Paste in the new activation key > Update Activation Key.